14 November 2018: Alun Seden says he always knew his son would be a success. He’d noticed his son’s incredible work ethic and a desire to make something of himself. Seventeen-year-old Ben has already gone a fair way to repay the faith that his father has in him, as he prepares to complete the final year of school with aspirations of a university degree. 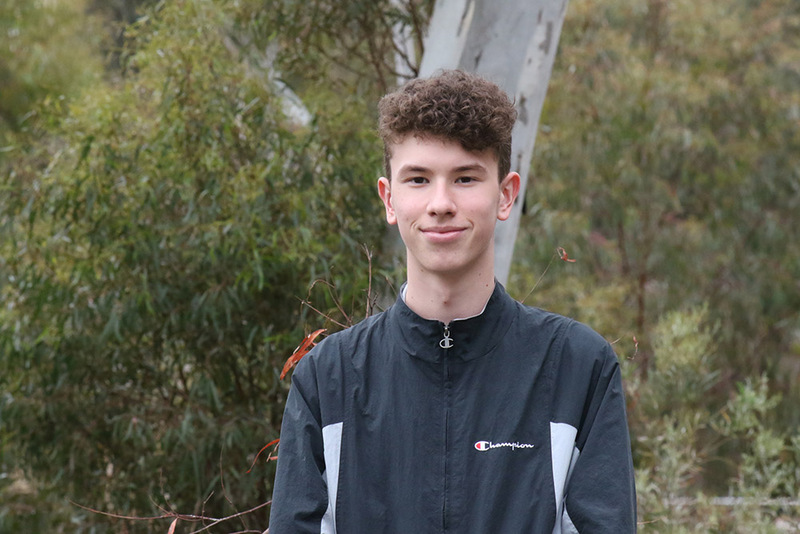 Ben was one of nine students who were the star attractions at a dinner hosted by the University of Canberra aimed at celebrating the success of local Year 12 Aboriginal and Torres Strait Islander students. The inaugural Indigenous Graduation Dinner was the culmination of a dream by Professor Peter Radoll, Dean of Aboriginal and Torres Strait Islander Leadership and Strategy. Professor Radoll explains, “As a community we need to come together and celebrate success, and completing Year 12 is a great success. Celebrating success is taking a strength-based approach to Indigenous higher education, something we need to do more frequently”. Peter has a point. Far too often there is a focus on the negatives, especially when it comes to Aboriginal and Torres Strait Islander youth. We should be celebrating their success. Dinners, such as the one put on by the University of Canberra, demonstrate one way in which an organisation can highlight these high-performing individuals and showcase their success. For Professor Radoll, it’s a special, personal event; “One of the students celebrated at the University of Canberra dinner, I remember nursing him when he was only a few days old. Now to see him completing Year 12 is just fabulous”. For some Aboriginal and Torres Strait Islander students, says Peter, it hasn’t been easy to complete Year 12, but for many it is a launching pad into their next endeavour. Ben, for one, isn’t content with completing Year 12 at Canberra College. He has set his sights upon completing media studies and international studies at the University of Canberra. “My mum used to work at Channel 10 in Canberra and I went with her to work and it sparked my interest in pursuing media,” says Ben. He is also interested in working overseas at some stage of his career. His parents, Alun and Rondelle, along with younger sister, 16-year-old Alyssa, form a strong family bond, which is built on a solid cultural foundation, which is part and parcel of Ben’s everyday existence. “Dad got me into Torres Strait Islander dancing,” Ben says, proud of his dad’s guidance and proud of their cultural background. Alun, an IT consultant, is also Ben’s basketball coach, in not just one but two teams for the Warriors club, which was established with the mantra: “Reconciliation through sports”. Alun is proud of his role, not just at the Warriors, which now boasts ten teams, but also due to the influence he has had on his son. Alongside his work ethic, he is particularly proud of his son’s ability to speak in public, although Ben has had to work at this, as he recalls, “I used to have a problem with public speaking, that changed when I started doing drama.” He is a young man with many talents and shows all the makings of a future leader. Also celebrated at the Graduation Dinner was Kuzi Riley Brown, a Year 12 student at Dickson College. Kuzi has also shown outstanding leadership qualities, beginning in primary school when he would lead groups of younger students to learn and play Aboriginal games, such as Buroinjin. Given his aptitude for teaching others, this might form the basis of his career path. His desire to explore and teach isn’t confined to the classroom. Kuzi has an interest in and solid grasp of the value of sport and physical activity for young people to maintain physical and mental health. Like Ben, Kuzi has a passion for travelling overseas. Kuzi loves studying the Japanese culture and language, his interest in all things Japanese heightened following a trip to Japan with a cohort of Dickson College students last year. As we celebrate the success of Ben and Kuzi, the need to highlight the achievements of more and more of our young up-and-coming Indigenous leaders is apparent. To do so will, no doubt, encourage the next generation of Aboriginal and Torres Strait Islander students to pursue their dreams through study.